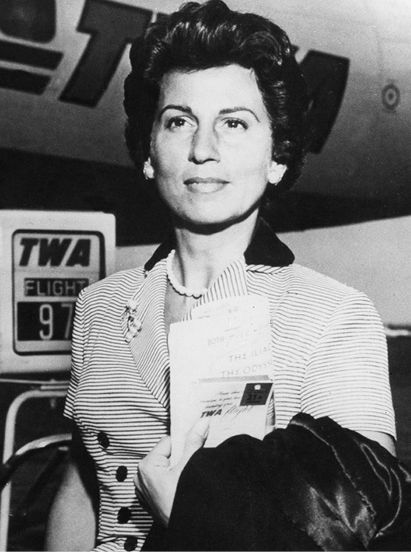 Nanicia Rose Barbato was born to a large Italian-American family in Jersey City, said The New York Times. She was 19 years old when she met the 21-year-old Sinatra on the beach at Long Branch, on the Jersey Shore, “where both families summered.” They were soon married, and as a young bride she cooked his favorite dishes—spaghetti, lemon-meringue pie—and made the silk bow ties he wore in performance, “sewing new ones each time delirious audience members ripped one from his neck.” When Sinatra’s career expanded from music to acting in movies, the couple moved to Hollywood, said The Washington Post. “Fan magazines depicted Sinatra as a seemingly content family man, but he was often away from home.” He did little to hide his many flings and in 1943 got a showgirl pregnant.